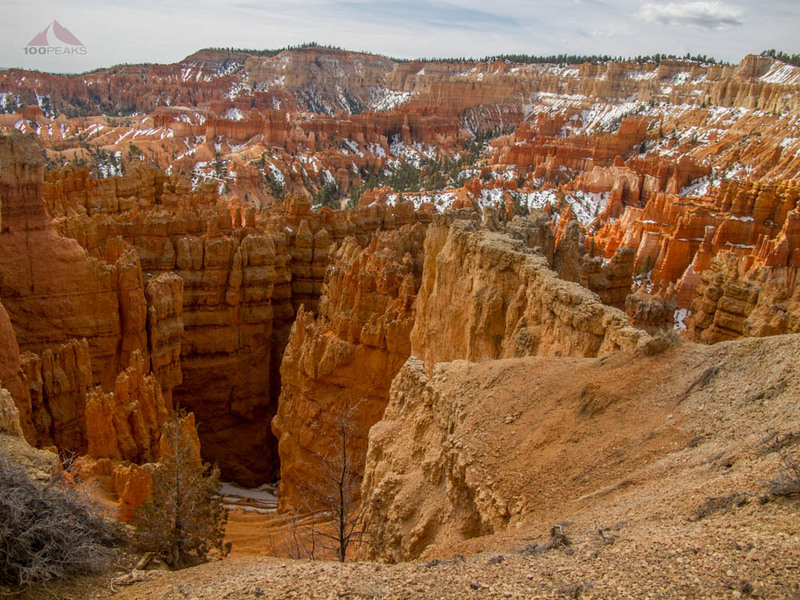 After we were done visiting Zion National Park, we headed out to Bryce Canyon National Park. We were basically recreating the trip I took when I was a child. While we were sad to say goodbye to Zion, we were excited what we would find down the road. We took the Zion-Mount Carmel Highway and passed through the 1.1 mile long tunnel. It was nice and dark with the exception of the windows carved into the cliff face. That was one exciting memory I had from my trip as a child and it did not disappoint. Upon exiting the tunnel, we immediately saw a big horn sheep eating some brush on the side of the road. Since there wasn't a place to pull over and there was a line of cars waiting in either direction, we did not have the opportunity to take a picture. Regardless, we were pretty excited to have seen one in the wild. We drove through the changing topography and saw herds of deer. 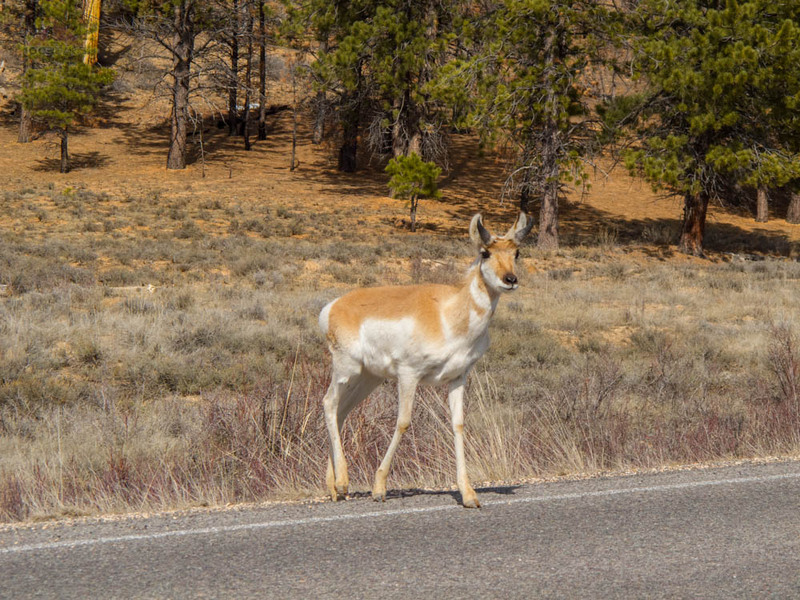 As we neared Bryce Canyon National Park, we also saw pronghorn. The weather was dramatically cooler than Zion National Park. Still wearing shorts from Zion, we hurried into our hotel and got ready for our one day of exploration Bryce Canyon. Bryce Canyon differed from Zion, as there were no shuttles running and many of the sights of the park are simply lookout points. When hiking, one starts from the canyon rim, rather than the canyon floor. Therefore, every hiking trail drops steeply into the canyon and getting back up can be a lung-busting climb. If you are hiking with children, keep this in mind as you descend. We went to the visitor center to obtain the appropriate Junior Ranger booklet and immediately went to Sunset Point to listen to a ranger talk about the immensity of geologic time. With interactive elements and a few visual aids, it was a good talk for the kids present. If you are just visiting the park for one day and have to choose one place to see, I would recommend Sunset Point and its view of The Cathedral. If you have a few hours to hike down into the canyon from here, this is a great place. We were a little chilly at the top, but once we started hiking down into the canyon it warmed up a bit. 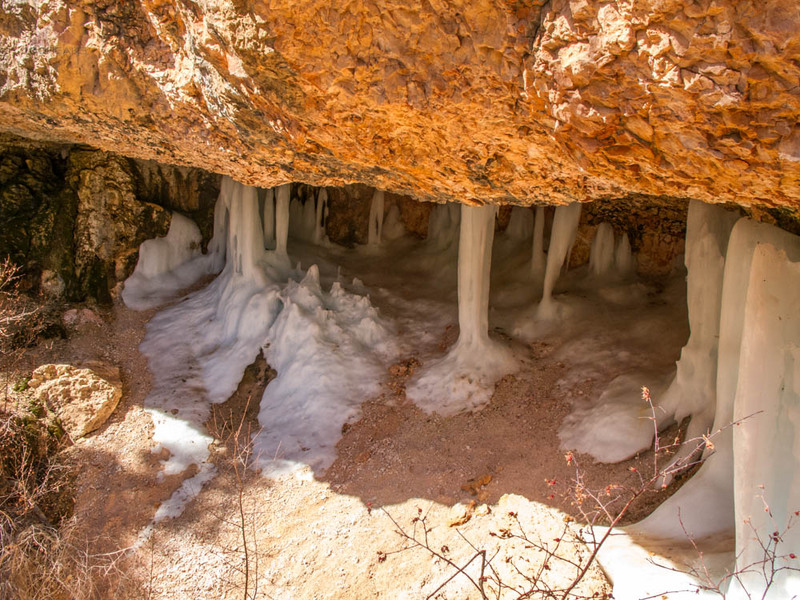 There was still a bit of snow on the trail and some parts of the Navajo Loop Trail was still closed. But there was still plenty to hike and plenty to see. The first thing that struck us was the color of the rocks. The orange you see in pictures is very real and is something you just need to view in person. We followed the sandy and muddy trail downward, stopping to take photos often. Sophia stopped to play in the snow and mud. We identified Thor's Hammer and the Sentinel. We found a good stopping point and had a snack and completed most of the Junior Ranger booklet. We turned around and started hiking back up. It wasn't as challenging as I had thought and it was nice to see all the people taking advantage of the beauty. 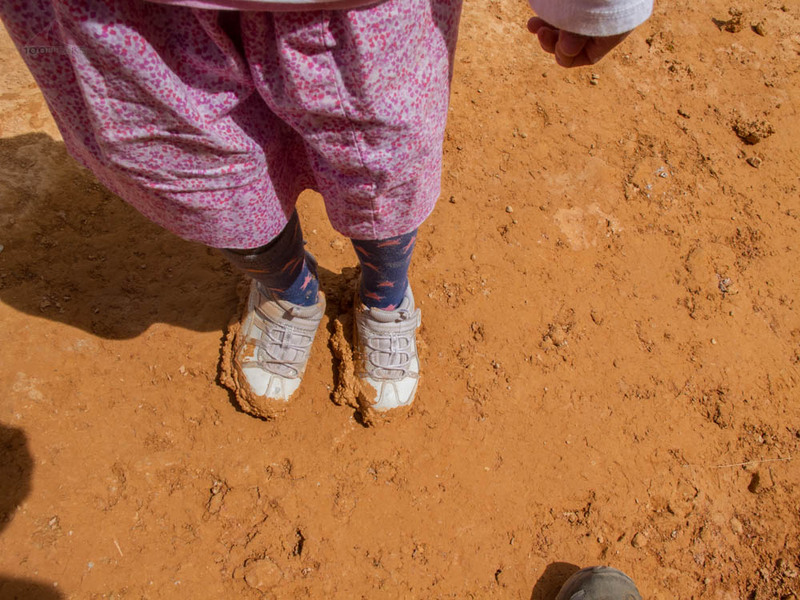 Once again, we stopped at the snow patches and Sophia was on a mission to get her shoes completely muddy. She succeeded. We made it back up to the top and enjoyed our packed lunch within sight of the canyon rim. The sun had come out more consistently and it was a pleasant time. We decided to get into the car and drive to the end of the canyon to Rainbow Point. It was particularly cold and the view not as amazing as that from Sunset Point. We wanted to go for a hike, but the icy wind deterred us. We headed back into the car, stopping at sights along the way. We were all in a great mood, since the canyon was truly beautiful and we had already hiked in it. 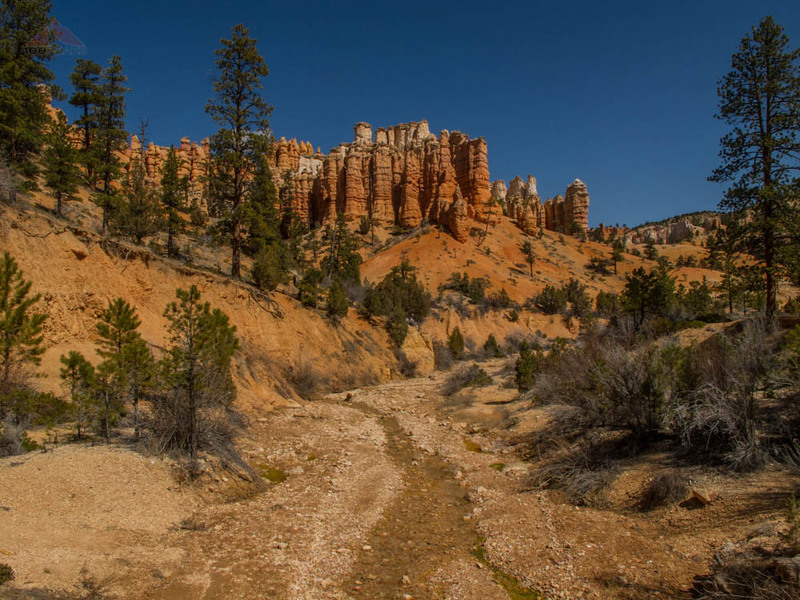 We continued our way north along Bryce Canyon, working our way back to the visitor center. We saw some pronghorn, so we pulled over to the side of the road to watch them for a bit. To our delight, they crossed the road right in front of our car and bounded into the meadow on the other side. 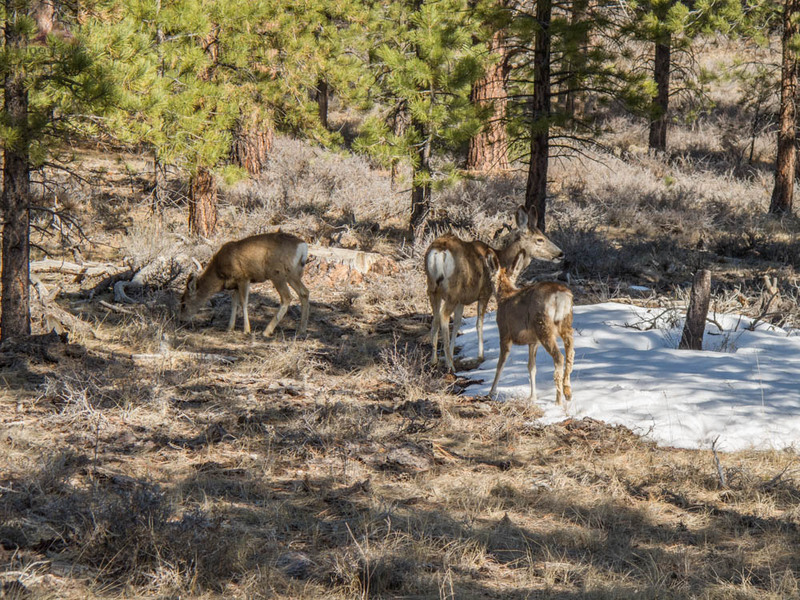 A few miles down the road, we then had a similar experience with a herd of mule deer. We returned to the visitor center and Sophia got her second Junior Ranger badge (and National Park patch) of the trip. 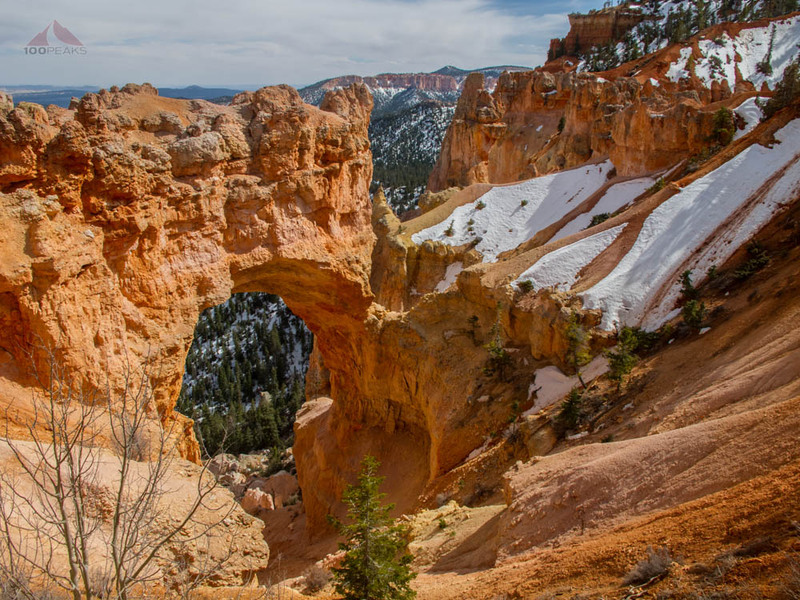 We just had a taste of Bryce Canyon National Park and were scheduled to start heading back home the next day. The next morning, we decided to make a short side trip to Mossy Cave and ended up playing in the creek for quite some time. It is a great hike for kids, as it was fairly level and short, crossed a bridge, had a seasonal waterfall, a creek to play in, and a destination. It was a great way to end our annual National Park adventure. We are already talking about next year's trip.